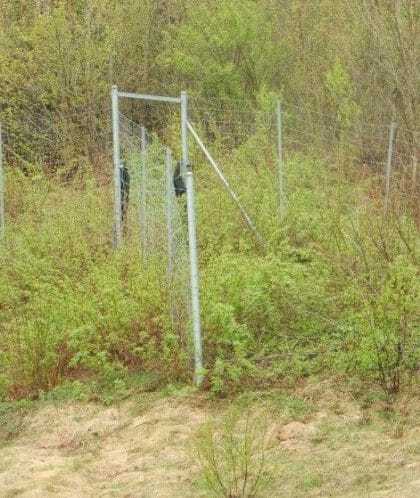 One-way gates have been used in North America with large animal exclusion fencing to allow animals that are trapped on the road-side of the fence to move to the safe-side or inside of the fence. The video below shows how these gates work on Highway 69 but also some possible improvements to the gates. 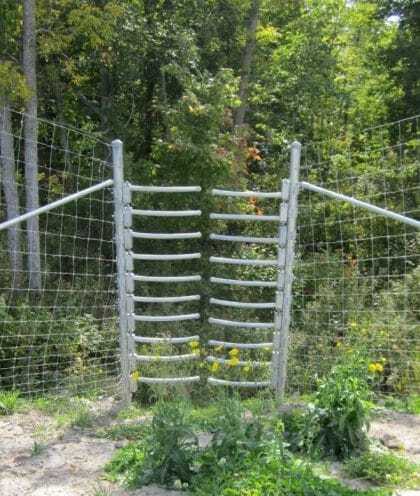 Ungulate guards which are also known as Texas Gates have been used at secondary road intersections where needs to be a gap in the fence to allow vehicles to pass onto the main road, but to provide a barrier to wildlife movement. 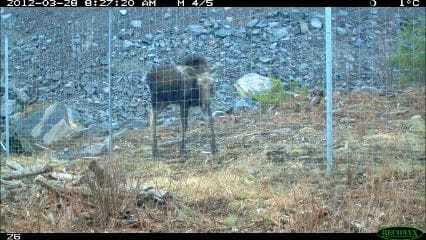 They work best for ungulates: hooved animals because the animals do not prefer to walk across the round spaced bars. However, animals with soft padded feet such as canids, lynx and bears are able to navigate the structures. There is some more research to be done to improve effectiveness of this concept. 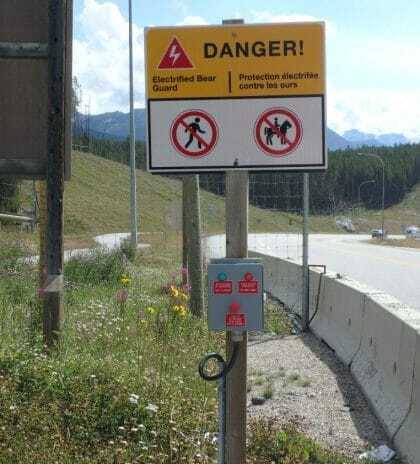 Electro-mats are being tested elsewhere, such as Banff National Park. 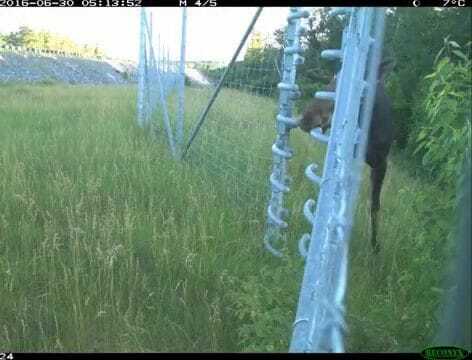 Fence end treatments are important so wildlife do not move around the ends and onto the highway or along the fence Right-of-Way becoming trapped on the wrong side of the fence. Rock boulder fields is one technique that is used to deter animals from moving around the fence end. 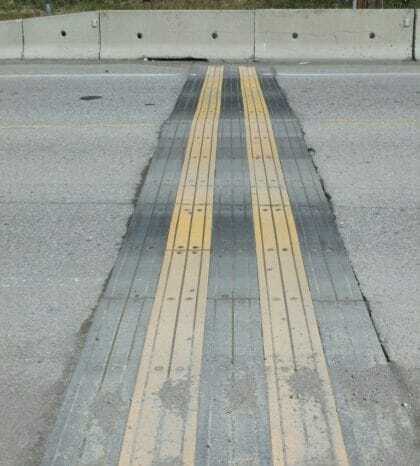 Rock fields or Rip Rap tied into steep highway slopes are also effective, sometimes for some species and not others. 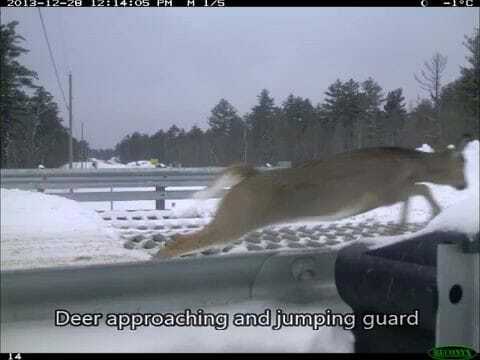 This video shows this for moose and deer below.